After the successful debut of our revised Project X at Minami Chiba, both Taryn and I were quite pleased with ourselves. 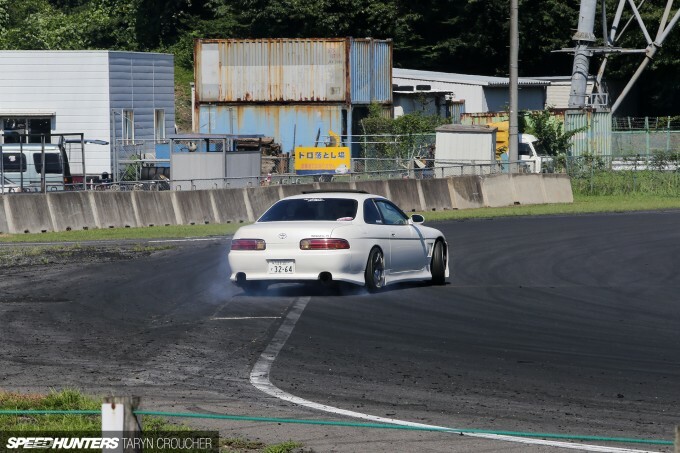 The new Soarer was fun to drive, we’d gotten comfortable piloting its 1600kg bulk, and we’d driven away at the end of the day with nothing but a mildly noisy power steering pump. Not too bad in comparison to the month we’d had previous! But now, where Minami Chiba was a one-car-out-at-a-time affair, it was time to head straight into the deep end and sign up to a track day at Nikko Circuit, two hours north of Tokyo. There would be no such exclusive use of the track here, and not just cones to hit. Hell, there weren’t even classes, it was an open-pit free-for-all mixing highly experienced drivers in very fast cars with, err… me. A bearded white man desperately trying to control his lumbering Toyota. 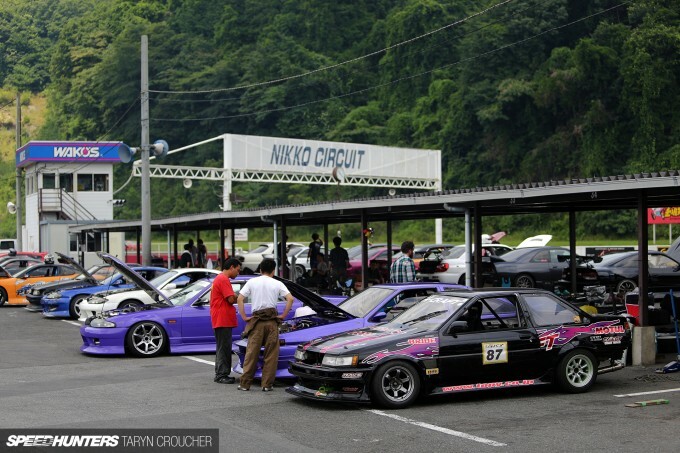 After an early wake up call, we arrived at Nikko Circuit just in time for sign up. Although I don’t tend to overthink things too much, I will admit that it’s a bit daunting to roll into the pits and park up next so many cool cars not knowing a damn soul, let alone being able to speak their language. 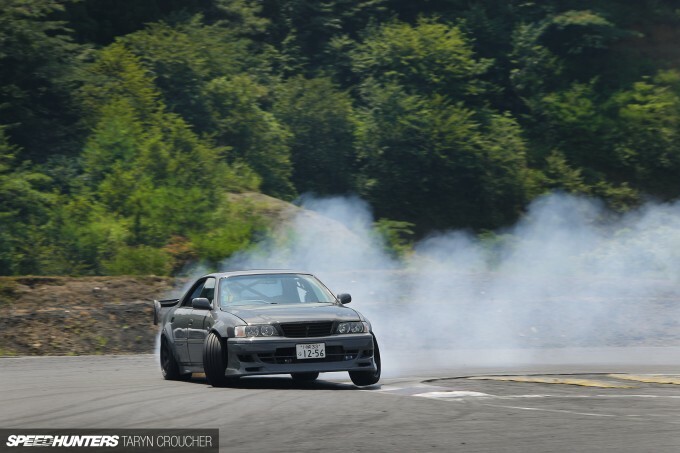 Well, apart from our Kiwi compatriot Toby of course, who had brought out his very cool R33 Skyline sedan for a skid. Unfortunately, Toby’s car only lasted a couple of sessions in the morning before deciding to eject its turbo exhaust wheel out through the 3.5-inch piping and onto the track – something that I somehow managed to catch with my camera. Back to the task at hand. For this track day, Taryn quite rightly decided she needed a little more cone work before heading out into the packs of screaming cars ripping around Nikko’s tight, hazard-filled course. 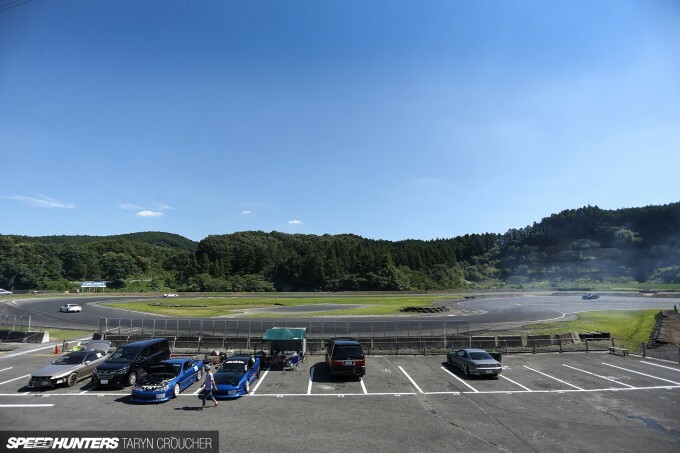 The circuit is extremely small, which is perfectly fine, but still daunting when no matter how hard you try, you can’t seem to avoid ending up in a impromptu squad of cars – usually a train of barking AE86s – as you enter the section. Amazing fun for the experienced, but pretty unnerving for me. Looking back now, I think I had put a fair amount of pressure on myself for fear of becoming that dumb foreigner that caused a huge pile up. The section begins on the front straight, with a fast left-hand entry that tightens up on itself dramatically, feeding into a set of compact esses before a long, fast right-hander that hopefully takes you to the final clip on the inside of a medium right heading onto the back straight. All this combined with the famous drop-offs skirting the outside of most corners made for a disconcerting prospect as I headed out for my first session. But, as with most things, as long as you’re not acting like a complete dickhead, it’s completely fine. I did do my fair share of spinning though, but managed to learn a little each time I looped it and simultaneously prayed that there wouldn’t be pack of cars sliding towards me. The other drivers quickly learnt to be weary of my unpredictability, and I soon got pretty good at checking my mirrors and finding little gaps in the action to try new things and push harder than I otherwise would with a howling JZX100 right on my rear bumper. I’d have to say, this grey JZX was my favourite car of the day. It was great-looking, super-quick, amazing to listen to and the driver was one of the most aggressive out there. By midday, I was starting to pick up the flow of the track, although the third gear entry off the front straight was still a little beyond my reach and I was having some serious steering issues, which I’ll touch on soon. Easily my favourite part of the section is that final long right-hander, which is more of a straight with a kink in it really. I loved that it punishes you if you get your line wrong in the section beforehand, but if you get it right and carry enough speed to the very outside, you can drop the back wheel/s off the edge and the whole front of the car heads skyward as you keep your foot buried. Obviously the more experienced drivers were much better at this, but on the occasions I got it right there was some serious Peter Kelly trademark hootin’ and hollerin’ inside the Soarer’s cabin. Back to that aforementioned steering problem. In between Minami Chiba and Nikko we decided to replace the noisy power steering pump for piece of mind, but it unfortunately quickly gave us the opposite. Heading out into the first session at Nikko, the steering quickly became very heavy, then very light, and then heavy again, seemingly with the revs, making for a fairly unpredictable drive. A quick pop of the hood revealed power steering fluid everywhere. You can see me struggling with the wheel in the Instagram video above. I’m certainly not at all saying it was the reason I was having trouble linking up the entire section consistently, but it didn’t help… Despite the ridiculous summer heat and the destroyed arms and shoulders, we’d come all this way, so I just made the call to struggle through it and see if we could figure out what went wrong once back in Tokyo. By 3:00pm I was growing more and more confident, which is always a recipe for disaster. Thankfully my ‘big off’ wasn’t too bad, with a short dive off the outside of the first corner bending the front bumper back into the fenders. It did some damage, but hey, I’m not worried – it was bound to happen sooner or later! Just like Minami Chiba, everyone we spoke to was super-friendly, despite the fact that I can almost guarantee I spun in front of a good portion of them at some point during the day. Considering this was my first real Japanese drifting experience on a proper circuit jammed with other cars, the day spent at Nikko went really well and I gained a lot of confidence that will certainly come in handy as we head towards even tighter and more daunting venues. Look out for another Project X update later this month as we visit to the temple of drift high up in the mountains at Ebisu Circuit! 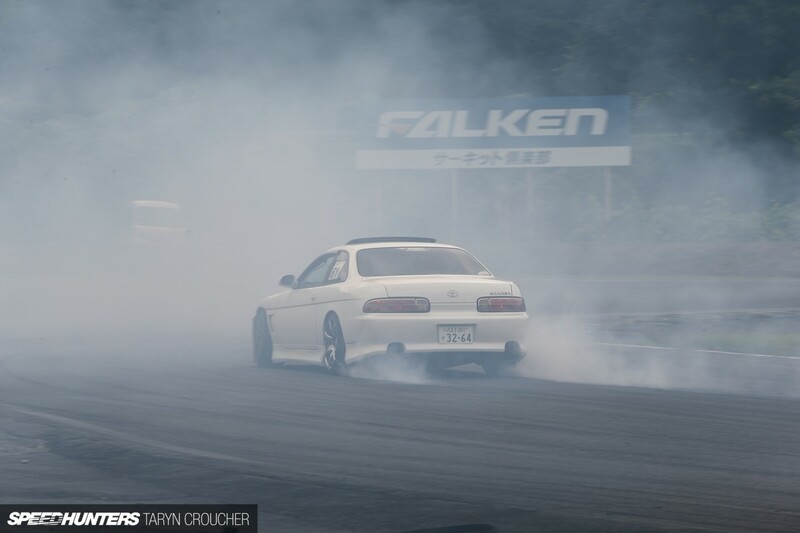 is the soarer 1600kg wow! Nice job pushing that around! Surely it's now Project Z? Nice skids. Slappy_Pistons http://www.speedhunters.com/tag/project-z/ Taryn already claimed that one! @timtompangpang It's actually more like 1650kg factory believe it or not! 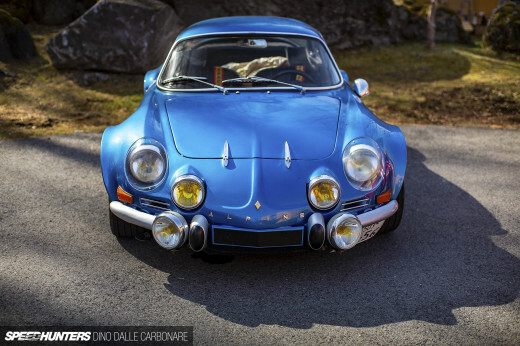 This car is non-leather, has a Bride drivers seat and fibreglass fenders, so it's a little lighter, but not by a lot! IIIMboosted Awesome, I know the feeling very well. What are you building? I want to say thanks for doing this because I love reading the project x articles. 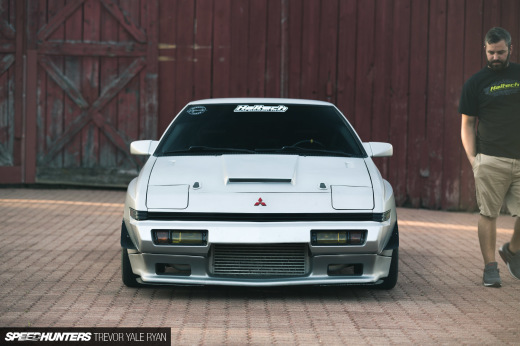 It's great to see a very realistic and honest side to drifting and car culture in general. It's a nice break to see somethig closer to home rather than custom fabed hp monsters. Sarlaccsurvivor Thank you, that's pretty much the ultimate feedback. The support is much appreciated! Sarlaccsurvivor I have to agree with everything you said here. It's really refreshing to see an honest, down and dirty look into what people without unlimited pocket books can accomplish if they just keep pushing into it. Keep living the life , Peter! I can't wait to see the next installment of this story. PS. Might be time to shed a little weight there Peter. I hear it's pretty easy to do with an angle grinder and a six pack. KennethHay Peter_Kelly Dont forget the dry ice and a hammer! apieceobacon KennethHay Peter_Kelly Or alternatively I'll just add more power! After all, more power makes cooler sounds than lighter weight. Peter_Kelly apieceobacon KennethHay Very good point. Peter_Kelly Slappy_Pistons Project X squared? for those of us that can't do the same, we live vicariously through your experiences. Beginners in an overweight, underpowered car with the power steering equivalent of blackjack, I say you are doing extremely well. Good luck on the car swap, hope this one holds together for you. That guy with the grey Chaser, 3 wheel drift? Yeah he needs a feature. Great coverage btw. Any plans for night runs??? d_rav Will see what we can do! As for night runs, we've definitely been out and about in the big girl, but not with a camera. That may change come November though! Chris 'Haffy' Hafner Cheers Chris, she's been good so far - despite having twice the mileage of the last one. Just goes to show it's all about how it's looked after, not how long it's been around. IIIMboosted Same here, my brother and I have basically missed the whole summer trackday season, even though we are only 15min drive from a great venue - reading this sort of article does help keep me enthused... Well done Peter! 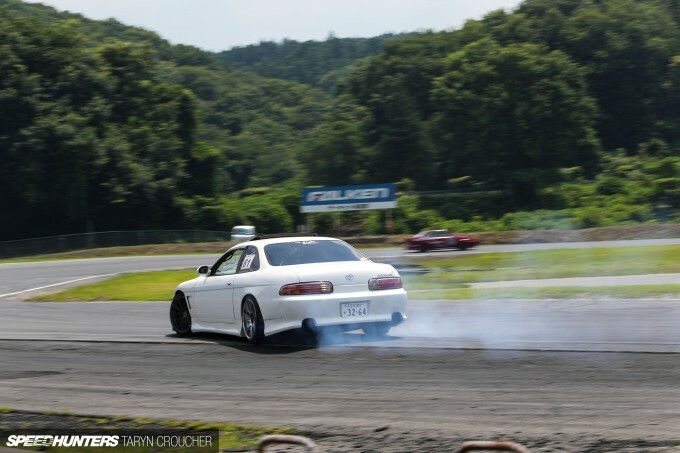 Chris 'Haffy' Hafner A 1JZGTE Soarer is "UNDER POWERED"?! Really cool story. I'm doing my first drift even this weekend, stateside. 45 cars registered currently. I can relate! I would give ya the clapping gif, I would have to join though, I like lurking too much. Really commend you for jumping on in, this would be a dream come true for me. Great read, good on ya. 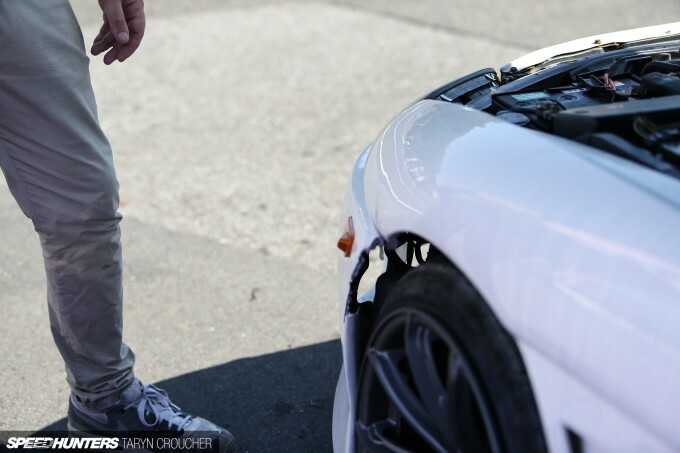 Nice work catching the R33 turbo blowup. Not something you see every day. Underpowered due to the weight it's pushing around. If the car was 400kg lighter of course it'll be enough. @Muse Thanks, I couldn't believe it when I zoomed in! Dimitri A Good luck - I've learnt to just chill now, because I know that two laps in everything you were worried about is forgotten, so try not to stress! Chris 'Haffy' Hafner Yea exactly, amazing engine, just wish it was in a 1100kg car! 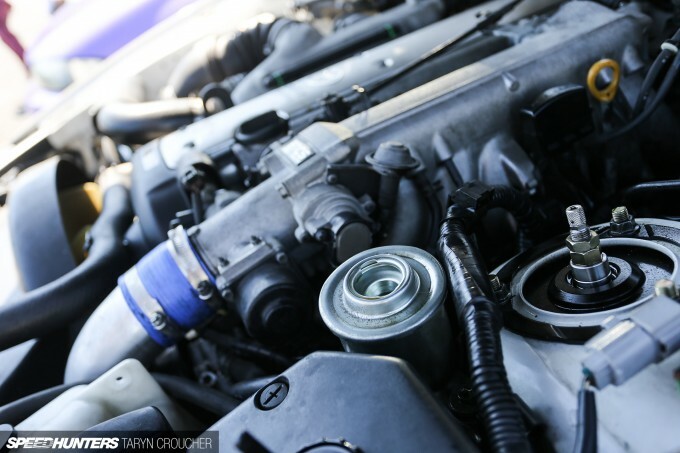 Peter_Kelly IIIMboosted its a e36 m3 turbo project. In final stages, but the turbo journey was not easy one. But the closer i get the more exited it is. Finally got tires on my wheels and wheels on the car last night (OZ futuras 9.5/11s). That of course brought more challenges and things that need to be done. It seems that any little thing i do bring more and more other things to do. But after many tries im finally committed, especially budget wise. I started few projects before that i thought i would go all out on, but after looking at the costs and just the scope of work i have abandoned them. I just learned that for my skill level i cant go too crazy. 2 separate times i had cars and engines for crazy swaps ready in my garage and had to sell them, because it was lots of custom work i couldn't pull off, and couldn't afford to pay shops to do it either. This time almost everything except ecu tune, paint, end engine machining work is done in my garage. 1.5 years in to it. would be fester, but good parts are expensive, and i have to save up for each separate thing. Peter_Kelly Slappy_Pistons Aaah, of course, the 280 zid! Honestly looks like you guys are having so much fun with it, and that's all that really matters! Would love to try to slide that thing around. 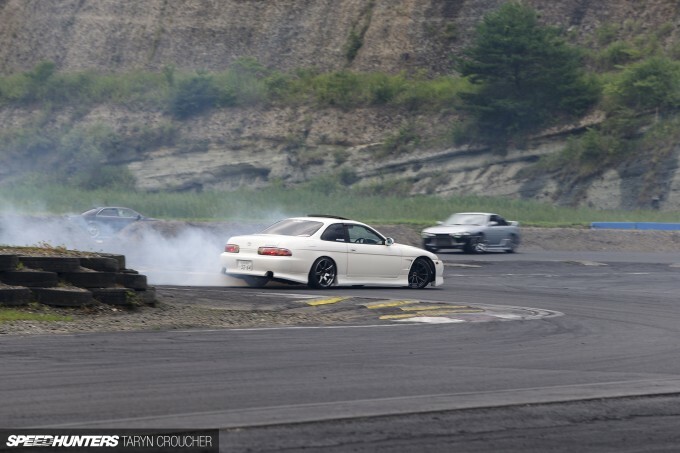 matthewyaa It's actually pretty easy by all accounts, what with the long wheelbase, good diff and steering knuckles - I'd really like to get in a Silvia soon for comparison - or maybe even the complete opposite to the Soarer, an AE86! 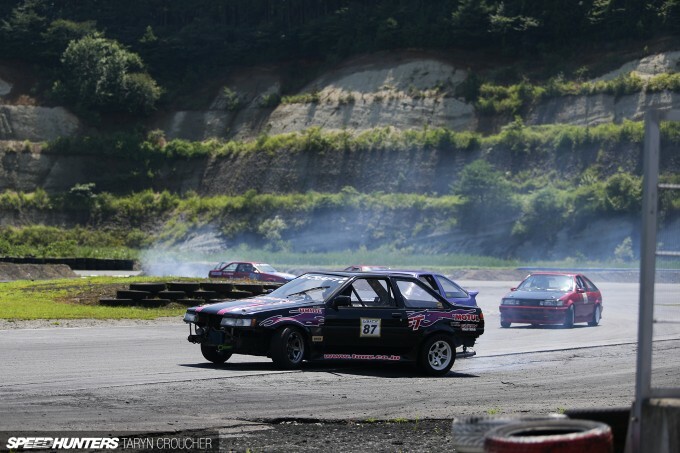 @MyLifeAsLouis You don't really see many non-Japanese cars at grassroots events in Japan. But that's what Scandinavia is for, right? I love the fact that you are doing all that stuff with a car just like mine!